Royal Appointment for the Band! 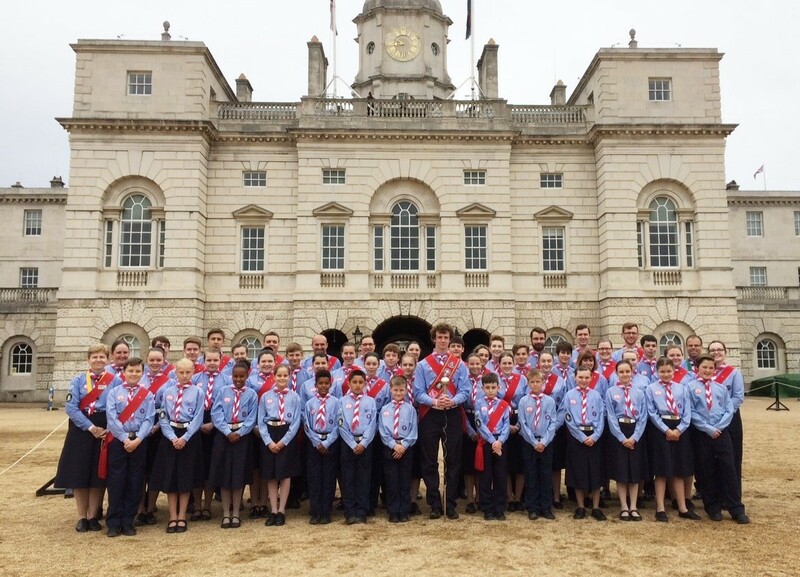 On Sunday 12th June, 51 excited and nervous members of the Kingston & Malden Scout & Guide Band headed into London at 6.30am to prepare to take part in The Patron’s Lunch celebrations. With band members as young as 9 years ol d taking part it was set to be a day to remember. 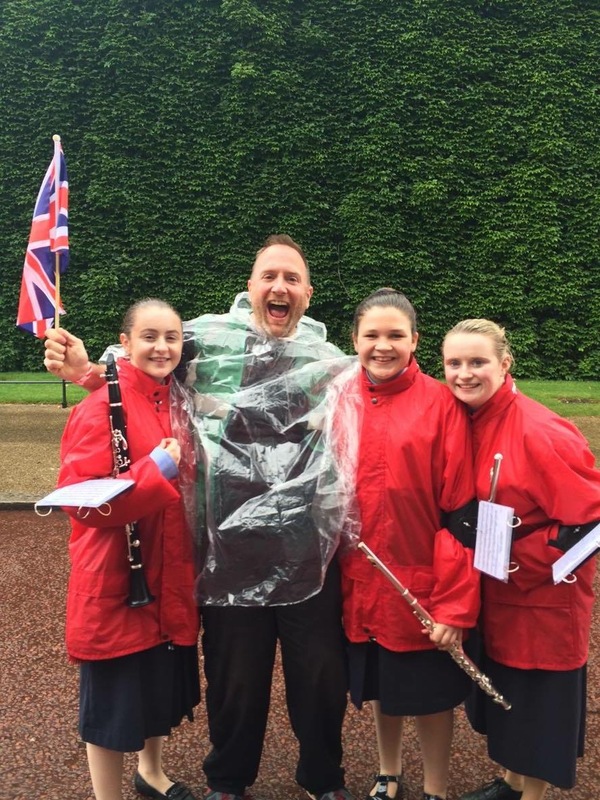 The Patron’s Lunch, masterminded by Peter Phillips The Queen’s eldest grandson, was a Great British street party to celebrate Her Majesty The Queen’s 90th Birthday and patronage of over 600 charities and organisations. 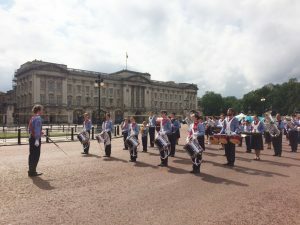 The event also raised money for a newly created charitable fund – “The Patron’s Fund” which will support the charitable organisations within the UK and across the Commonwealth to which Her Majesty The Queen acts as Patron. 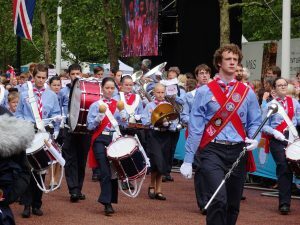 In the early hours of 12th June The Mall was transformed to play host to 10,000 guests from the Patron’s Organisations, and large screens were provided in Green Park and St. James’s Park for the general public to join in with the celebrations. The highlight of the street party was a carnival-style procession featuring bands, dancers, choirs and even a model of Her Majesty’s favourite yacht Britannia! Each section of the procession represented a decade of The Queen’s reign. The Band were extremely proud to be asked to lead one of the segments in the procession and pleased to fly the flag for Scouting, Guiding and the Royal Borough. e guests seated in The Mall. There were lots of plastic ponchos being used as protection from the weather but the lovely hampers provided by M&S seemed to be keeping everyone’s spirits up! Thankfully the rain stopped and the sun finally came out for the walkabout by members of the Royal Family and the main procession live on BBC1 at 3pm! announced by TV presenter Clare Balding. 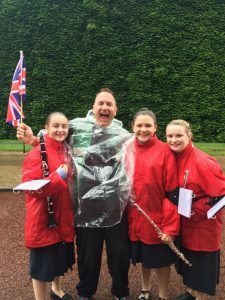 It was a fantastic opportunity for our Band and all of our young people and we will have wonderful memories of it for many years to come.